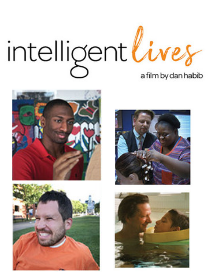 The Olde Walkerville Theatre is hosting a free screening of the documentary film Intelligent Lives on Friday, April 26 at 6:30 p.m.! The film follows the lives of three young adults with intellectual disabilities who challenge perceptions of intelligence while navigating high school, college and the workforce. The filmmakers have welcomed communities across North America to screen this engaging and endearing documentary with the aims of becoming a catalyst for inclusive education and employment. Register here for your FREE tickets.